Director Andy Reed was at the Israeli Ambassadors this evening to join with Rugby World Cup winners Jason Leonard and Joel Stransky to showcase the work of the Atlas Foundation projects in Israel. The Atlas Foundation was created by Rugby legend Jason Leonard and has raised over £1m to help rugby projects across 15 counties. 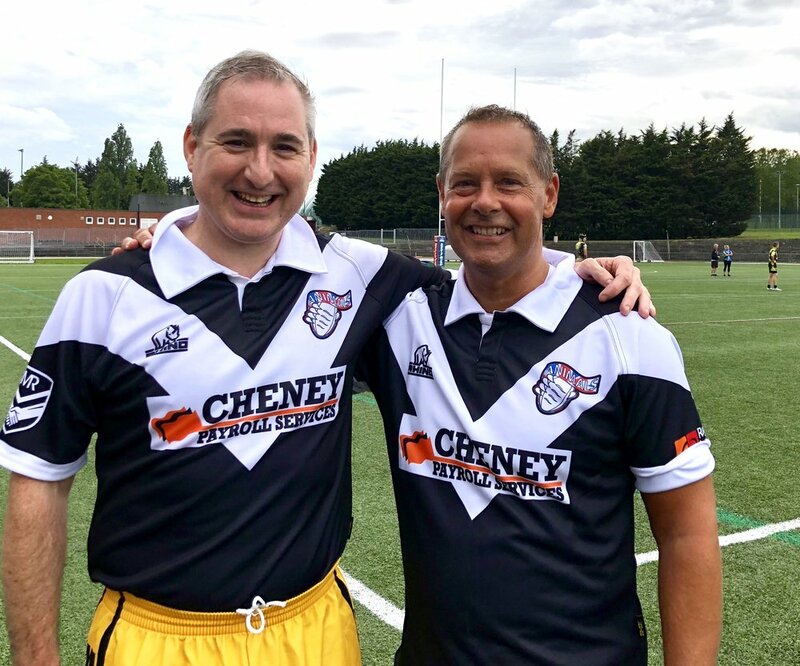 This weekend saw him pull on his boots for the Political Animals Rugby League side at London Skolars on Friday afternoon and once again support the work of the RFL at The Challenge Cup Final at Wembley. Andy said “I’ve felt strongly for the last 20 off years that the two codes of rugby have so much to offer working together despite their history! I joined the Rugby League APG and have always done as much as I can to help and promote both codes in all my various roles over the years. I love supporting and watching Rugby League. “With another home World Cup in 2021 I hope to work more closely with the RFL and share some of my experiences of legacy programmes for major events through the 2012 Olympics and England2015 campaigns. “I was really pleased to see the underdogs win yesterday at Wembley despite cheering on Warrington. My first ever live game was watching Warrington in 1986 when I lived in Chester so I’ve always kept an eye on their results. ”More impressively was the commitment shown by the RFL team for the inclusion agenda and I love the idea that as Ralph Rimmer the new CEO said - 'We want to win all the World Cups in 2021! It was great to see my long time political friend Andy Burnham and Lyndsey Hoyle as well as meet new friends as always at a sports event. The work Adam Hills has been doing to promote disability rugby League was a particular highlight! As a big fan of the Last Leg I had seen Adam promoting Rugby League and his enthusiasm just spilled over again at Wembley. I look forward to continuing to promote the game in whatever capacity I can. Our Director Andy Reed OBE joined the expert panel at the ICON Training and Why Sports ‘Getting Wales Moving’ conference last week in Cardiff. Andy Reed OBE succeeded by Marc Woods after serving for one year as interim CIMSPA chair. The Chartered Institute for the Management of Sport and Physical Activity (CIMSPA) has appointed Marc Woods as its new chair.